Ali, S., and S.D. Ripley. Handbook of the Birds of India and Pakistan, Vol. 5. Bombay: Oxford University Press, 1972. Du Pont, J.E. 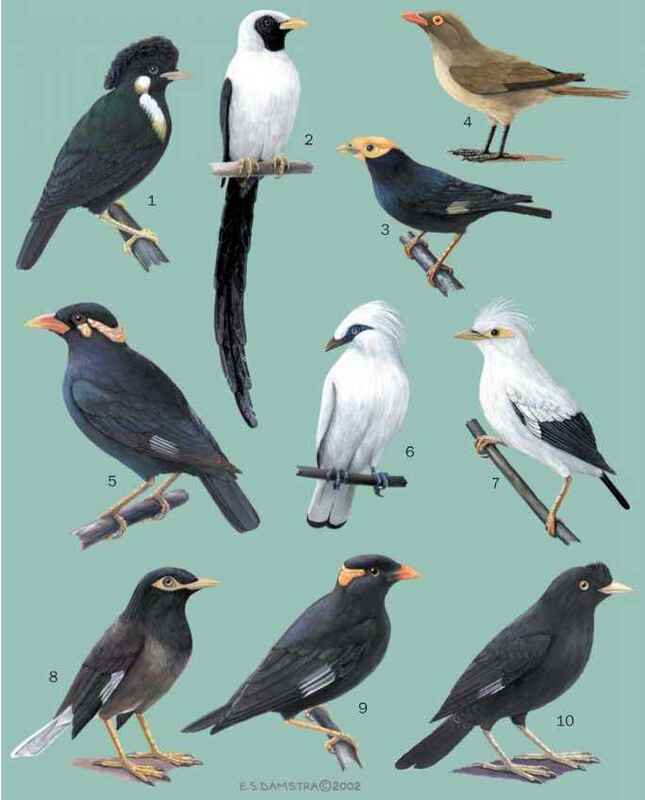 Philippine Birds, Monograph Series No. 2. Wilmington: Delaware Museum of Natural History, 1971. Fry, C.H, S. Keith, and E.K. Urban, eds. The Birds of Africa. Vol. VI. New York: Academic Press, 2000. MacKinnon, J., and K. Phillipps. A Field Guide to the Birds of Borneo, Sumatra, Java, and Bali. Oxford: Oxford University Press, 1993. Schodde, R., and S.C. Tidemann, consultant eds. Reader's Digest Complete Book of Australian Birds. 2nd ed. Sydney: Reader's Digest Services, 1986. Smythies, B.E. The Birds of Borneo. 3rd ed. Kota Kinabalu and Kuala Lumpur: The Sabah Society and the Sabah Nature Society, 1981. Vaurie, C. "Dicruridae." Check-List of Birds of the World. Vol. 3. Cambridge, MA: Museum of Comparative Zoology, 1962. Beehler, B.M. "Notes on the Mountain Birds of New Ireland." Emu 78 (1978): 65-70. Vaurie, C. "A Revision of the Bird Family Dicruridae." Bulletin of the American Museum of Natural History 93 (1949): 199-342. UNEP World Conservation Monitoring Center. Threatened Animals of the World. <http://www.unepwcmc.org/species/ animals/animal redlist.html>. January 2002. Medium-sized songbirds with a distinctive, fleshy, bright-colored flap of bare skin, known as a "wattle," on each side of the corners of the beak. They have rounded wings and tail, and strong legs and toes.